Easy as brushing on the water! 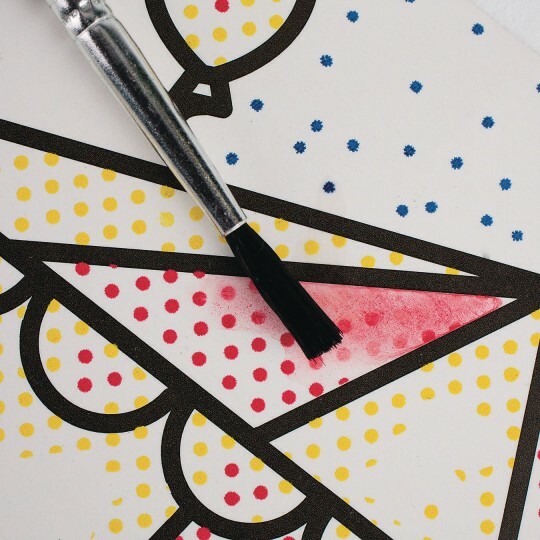 Easy as brushing on water – the paint is already in the paper! 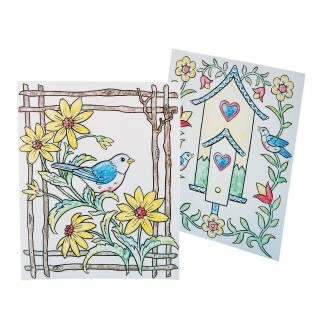 (2) 8” x 10” size scenes, 12 each of bird design and 12 of birdhouse design. 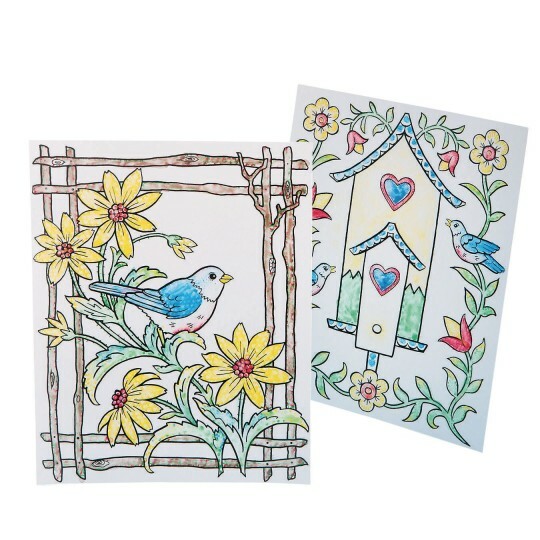 Self-adhesive easel backs for easy display. 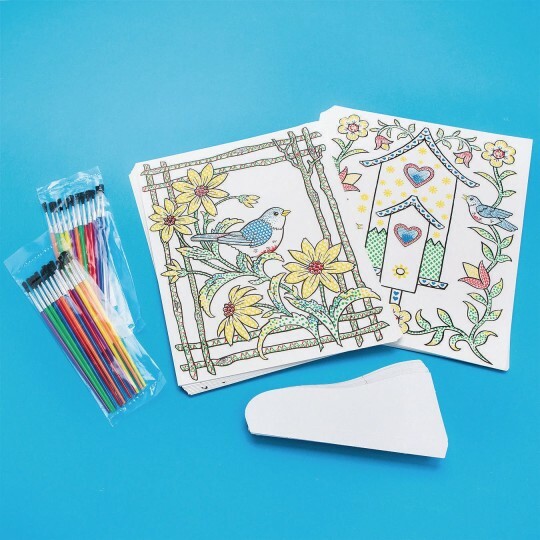 Brushes and instructions included.